The Hollow Mouth Round Ring Eggbutt Snaffle Bit does not rotate around the ring, as bit stays stationary in the mouth and preventing pinching of the horses lips. The lighter hollow bit will also spread the pressure evenly in applicable places. The ring create a snapping action with the mouthpiece. The size of this item is 2'' rings and 19m mouth. 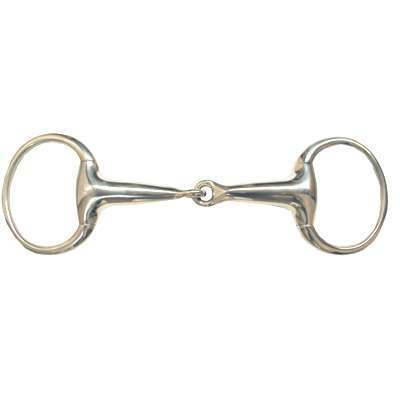 This Eggbutt Snaffle Bit is also made of solid stainless steel which will last a lifetime.